1E is a software company trusted by over 1000 organizations to meet their user, business and security needs. Modern users expect a mobile-like experience, with self-service and instant results. 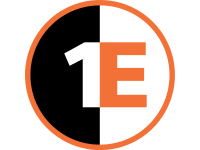 1E enables IT to deliver comprehensive self-service and respond in real-time by augmenting Microsoft and ServiceNow solutions. Over 1000 organizations trust 1E to meet their user, business, and security needs. Your employees are important; they deserve 1E managed endpoints.